An international collaboration operating NASA’s NuSTAR satellite has revealed that two of the biggest stars in the galaxy are capable of creating cosmic rays. Their results were published in Nature Astronomy this month. “Since these particles are electrically charged, they wander when in the presence of magnetic fields,” Hiromitsu Takahashi said. “This means we could not tell precisely where they are coming from when observed them from Earth.” Takahashi is an astrophysicist at Hiroshima University and coauthor on this study. 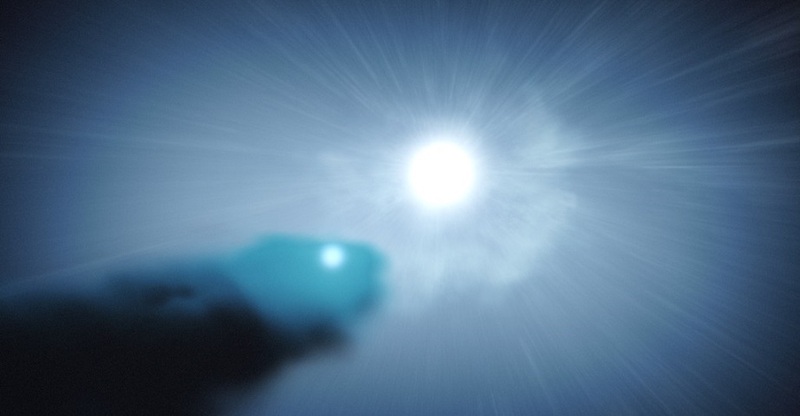 Takahashi and his team were interested in Eta Carinae, a binary star system 7,500 light years away from Earth. The two stars are massive – one is thirty times heavier than our sun, the other ninety – and thought to be a source of cosmic rays. The team built upon findings from an experiment conducted with the Fermi Gamma-ray telescope, in which they discovered a source of gamma rays coming from around the area of Eta Carinae. However, the resolution of the images they collected was not clear enough to confirm whether these rays were coming this star system or somewhere else. “We had to come up with a different way of finding their source – by measuring X-rays and gamma rays with a more sensitive detector,” Takahashi said. For this experiment, Takahashi and his colleagues observed Eta Carinae through NuSTAR, a recently launched X-ray satellite from NASA. Fermi can resolve images at about one degree, or twice as large as the angular diameter of a full moon as viewed from Earth. NuSTAR, on another hand, has a one-twentieth more precise angular resolution of Fermi – similar to that of the human eye. Because of NuSTAR, Takahashi’s team not only confirmed that the gamma rays are coming from Eta Carinae – as they suspected in the Fermi mission – but they also deduce how cosmic rays come out of Eta Carinae. The stars of Eta Carinae revolve around one another about every five years. The stars are so massive and hot that they emit a never-ending stream of charged particles called stellar winds. As they approach one another, their winds collide and form hot plasma that can emit X-rays. This time, Takahashi’s team confirmed the collision also forms shock waves. The energy of the particles shooting back and forth gets higher and higher, and they accelerate to nearly the speed of light. Then, these ultrahigh-energy particles, or cosmic rays, escape the shock region and scatter throughout space. Takahashi’s findings establish binary star systems as a source of cosmic rays. He predicts that future studies on the origins of cosmic rays could lead to further understanding of the fundamentals of physics and our universe. Hello. Thanks for the informative article. Recently I writemypaper on physics and then how zaz your article in the topic). Cosmic rays are having particles that do not have a charge, coming from the universal expanses to the surface of the Earth, lingering in the air envelope of our planet. The physics of cosmic rays has become an area with a very promising future. Because exploring cosmic rays, scientists can better understand the processes taking place in the stars, in our and not only galaxies. By the way, I read that the relic radiation is one of the varieties of cosmic rays. And the northern lights are also the consequence of the manifestation of these rays.